An iconic diver’s watch, the Rolex Sea-Dweller left the line-up in 2008. But to much surprise, it made a surprise comeback at Baselworld 2014 with the unveiling of the Sea-Dweller 4000 ref. 116600. This returned the Sea-Dweller to the catalogue where it had been present for over 40 years. 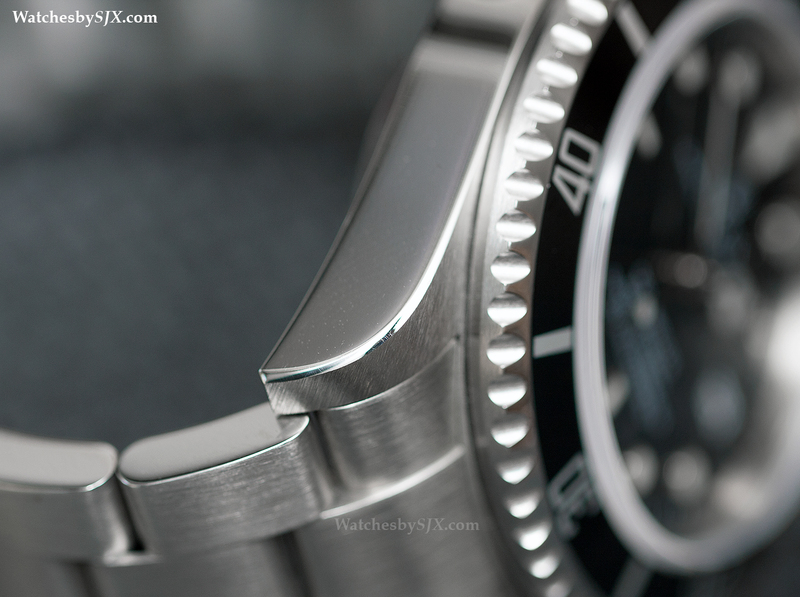 First introduced in 1967, the Rolex Sea-Dweller has an illustrious history. 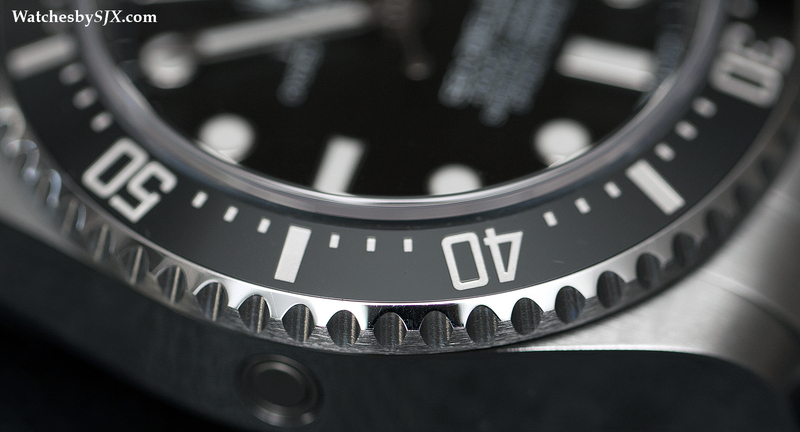 It was created for the divers of deep sea diving specialist COMEX, and the first watch to have a helium escape valve. So the Sea-Dweller ref. 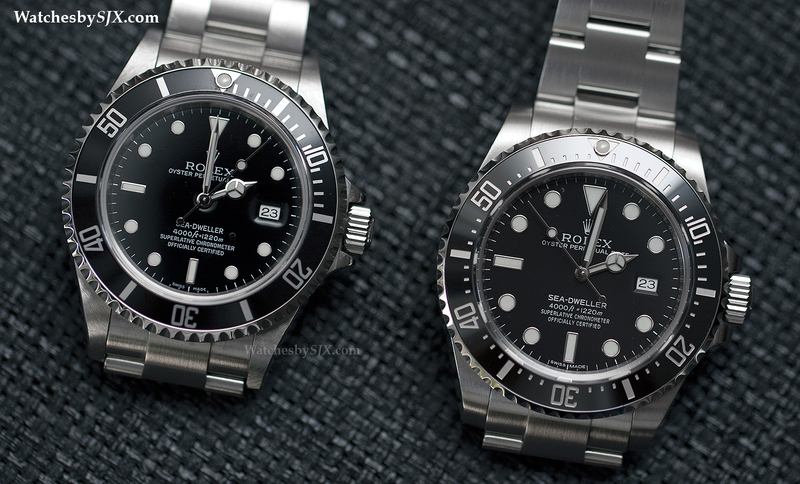 16600 was mourned when it was discontinued and replaced by the very much larger Deepsea. Both the old and new Sea-Dwellers have the same depth rating – 4000 ft or 1220 m. In all other respects they are radically different. Beside being larger, the new case is also less refined than the one on the earlier model, just as with the other Rolex sports watches. 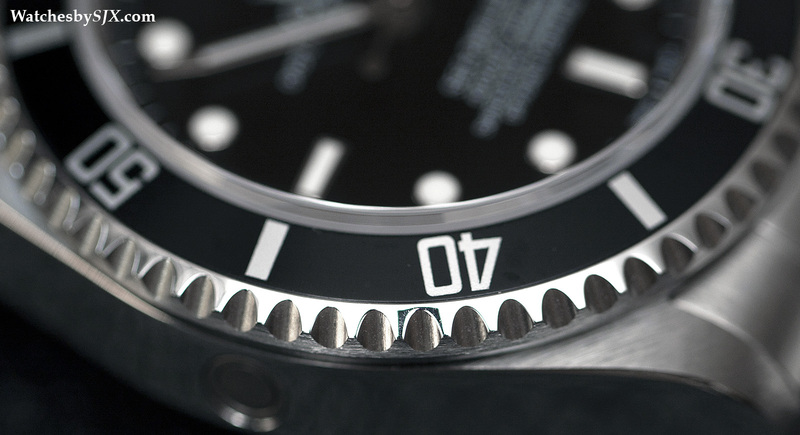 While the earlier generation of Rolex sports watches had a beautifully polished bevel running the length of the case, the new Sea-Dweller and all its contemporaries have simple, rounded edge. This is no doubt a practical change, the new case form is easier to polish, retaining the shape. The earlier style case often lost the bevel after refinishing. While the ref. 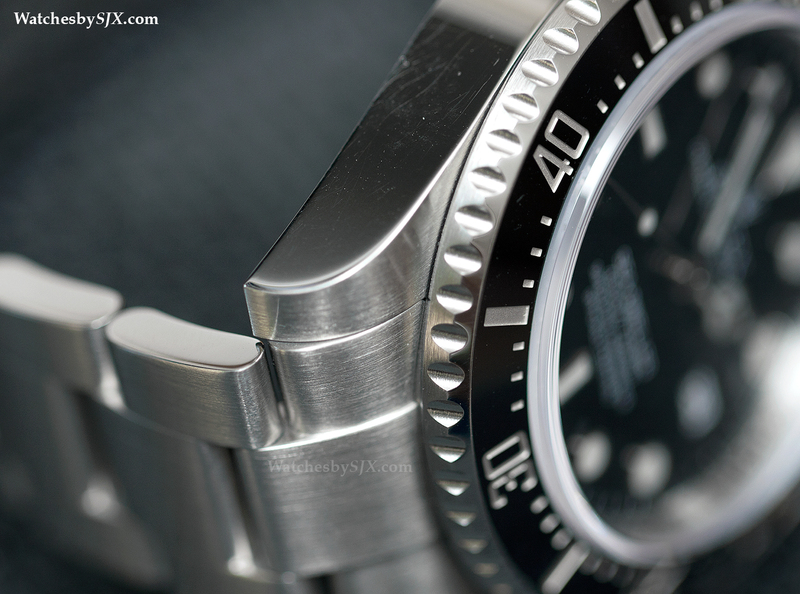 16600 had an aluminium bezel insert, the new ref. 116600 has a Cerachrom insert, made of ceramic with engraved numerals and markers filled with platinum plating. Cerachrom is scratch and fade resistant; in contrast, coloured aluminium would fade with time, hence the “tropical” vintage bezels popular with collectors. And the bezel notches also shallower and satin finished in the new model. At high magnification the new bezel appears more precisely and finely machined. NEW: Maxi dial that is slightly darker? The overall effect of all these changes on the case and dial means the Sea-Dweller 4000 looks larger and shinier than its predecessor – more like a luxury timepiece and less like a tool watch. Just as significant is the new bracelet, which is solid and beautifully machined. 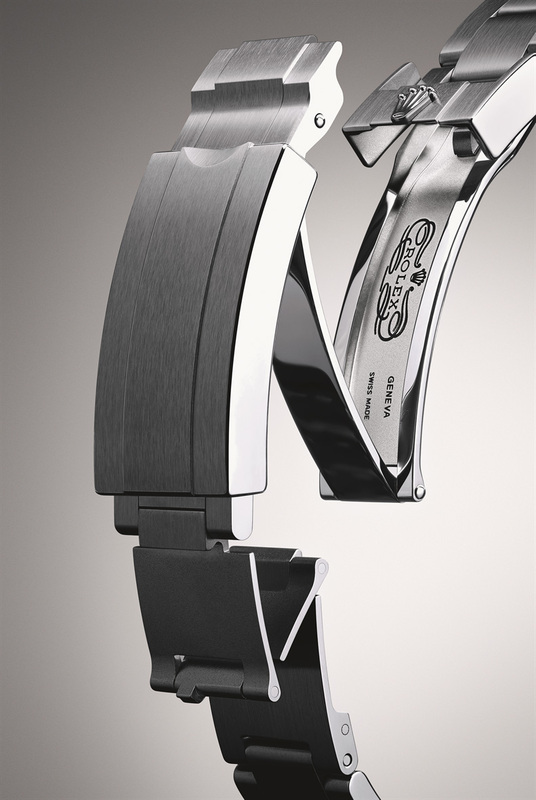 It’s equipped with the Glidelock clasp for easy adjustment in small increments and Fliplock diver’s extension. This bracelet is identical to that on other Rolex dive watches, but it is still one of the best in the whole realm of diver’s timepieces. The new bracelet also has solid middle links, the old version had hollow links, making it much weightier. Both generations of Sea-Dwellers use the same calibre 3135 automatic movement, though it is certain that in the six years between the two Rolex has modified and improved the calibre. What has been done, however, will remain a mystery since Rolex is tight-lipped. With a retail price of US$10,400 or 13,560 Singapore dollars, the new Sea-Dweller is about 50% more expensive than the old Sea-Dweller in its last year. That is a steep jump, and the new model is not 50% better, but relative to the price rises for luxury wristwatches as whole, it is acceptable. 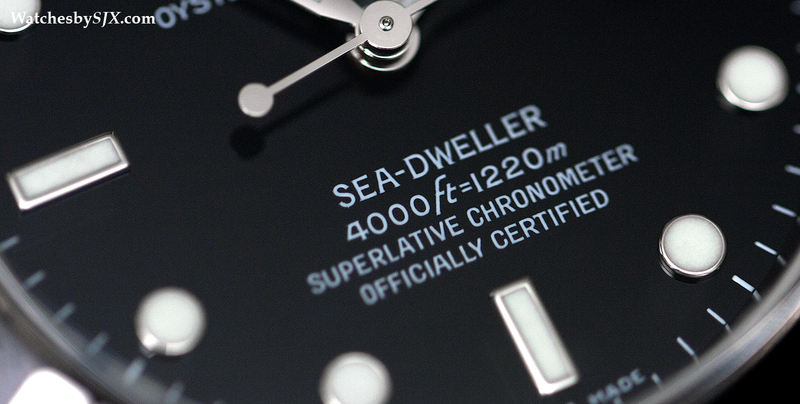 And compared with the competition today, the Sea-Dweller compares well in terms of features, quality and pricing.